Combination of Royal Enfields and charm of Rajasthan, this tour made memorable and highly recommended! Let me introduce myself: my name is Sonya, I’m a new member of the Vintage Rides team and had the honor to go to “the Land of Maharajas” tour. Vintage Rides invited me to a an incentive tour in order to get a image of our product and get to know first-hand how our riders perceive our tour. The tour in summary; 2 weeks drive on Royal Enfield Classic Bikes in Rajasthan, visiting 11 cities and staying at historical havelis. The itinerary was Mandawa, Bikaner, Jaisalmer, Thar Desert, Jodhpur, Ghanerao, Udaipur, Jojawar, Pushkar, Jaipur and finally Alwar. As a surprise, a grand finale: Celebrate the Holi festival in Pushkar. What more could you wish for? I was part of a 10-member group, majority of French, living in Switzerland. Vintage Rides provided all participants their own Royal Enfield, 2 drivers had taken their wives as passengers with them. Besides our Royal Enfield rider, was a mechanic, van driver and tour leader with in the game. One of my favorite experiences of the trip was the night in the Thar Desert and the stay in the desert city, Jaisalmer. What was so special about Jaisalmer, you wonder? For example Jaisalmer Fort, I found it fascinating. It was built in BC 1156 and was one of the largest forts in the world. An interesting fact is that at Jaisalmer Fort there are still people living inside. It is therefore not just an ordinary sight. You can actually visit your friends and family there. The fact is that our Vintage Rides tour group visited a family who lives in the Fort. The hostess led us through her house and invited us to Masala Chai. After the visit to the fort, we went to a local carpet designer who makes carpets and sells them. The following day, Thar Desert was in the schedule. For many in the group, including me, it was a unique experience as we were for the first time in the desert. Arriving in the Thar Desert, I was amazed by the beautiful desert dunes. They were golden brown and not ending – you could see nothing but golden sand. In light of the bonfire we had dinner and were telling stories of our past and teenage times. Following we watched the sun vanishing behind the dunes, which left an outstanding view of stars. Next day, we woke up early to not miss the sunrise. It was an experience to witness how the sun came crawling out from the dunes and its rays warmed the sand. After breakfast in the desert, we drove in a jeep back to our Royal Enfields and continued our journey to Jodhpur, the blue city. Other highlights, as already mentioned above, were the Holi festival in Pushkar. For me personally, this trip was an unforgettable adventure. 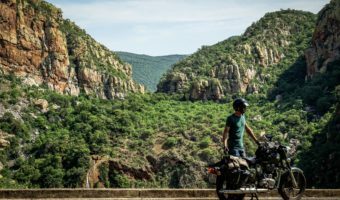 I learned that traveling on Royal Enfield bikes is a unique experience and is not to be compared with similar ways of travelling. On motorcycles you see and feel cities, not just through a window. You develop a feel for each city in which you drive, taking the smell and ambiance of each of them. In addition to that you are flexible, you can spontaneously and individually stop at a sight, and take yourself time for example, taking pictures. 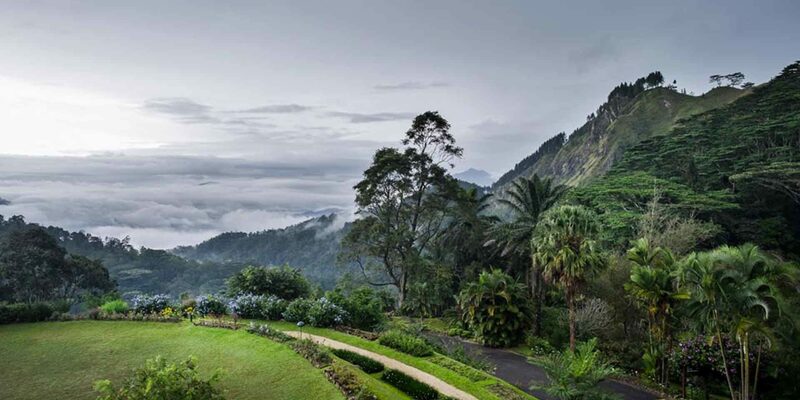 Moreover, to travel on Royal Enfields is a special experience. 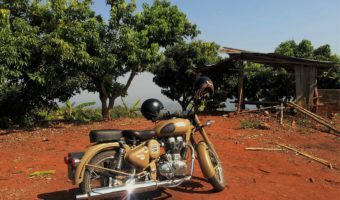 Royal Enfield’s is a top-seller and big brand in India. Therefore they get a lot of attention when one travels around with them in India. Motorcycle enthusiasts blindly differentiate between the sound of the engine a Royal Enfields and any other brand. They are unique in their production and follow a 120-year tradition! 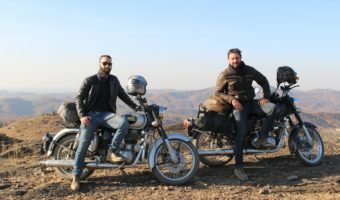 Royal Enfield motorcycle riding in Rajasthan India Vintage Rides photo The combination of the trip to Royal Enfields and the charm of Rajasthan, made this trip memorable and highly recommended! And if you wanted to experience the wonders of Rajasthan by yourself, you can find more information about Land of Maharajas tour here!